Description: Shelby Point Farm & Market is currently run by the fourth generation of its founding family. In 2001, owner Barbara Bull commissioned. 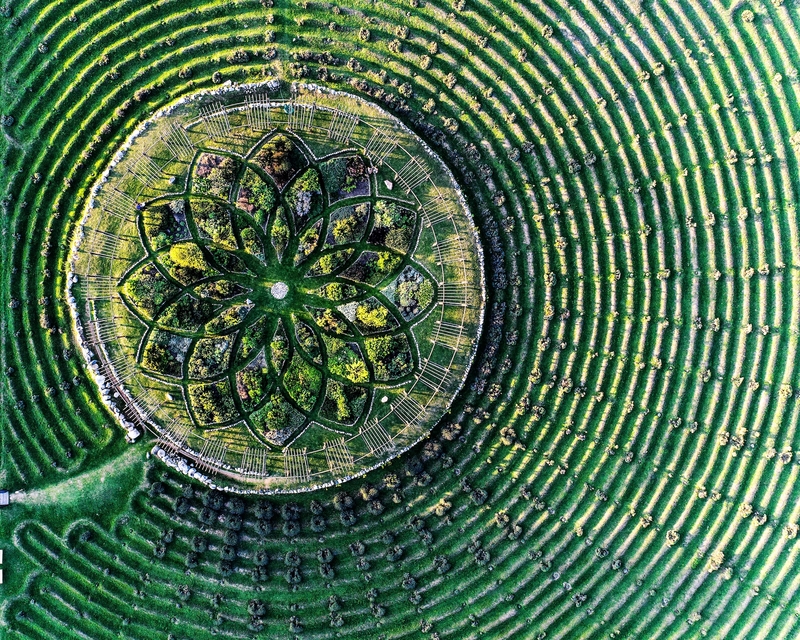 architect Conrad Heiderer to create an asymmetrical lavender maze, so large that its visible from Google Earth. The maze takes roughly an hour to walk through where an herb garden can be found in its center. This is one of my favorite discoveries in Michigan, partly because the market sells fresh cherries, pies, and fudge. Lake Michigan is but a mile away and Silver Lake Sand dunes are close by as well. This photo was captured with a Phantom 4 Pro this past August.